The high-performance variant of the AS350 ecureuil (squirrel/astar) series, the single-engine B3 outclasses all other 6 seat helicopters for power, flexibility, safety and low acquisition and maintenance costs. The AS350 B3 is made to measure for hot conditions and very high altitudes. In fact, a standard production model recently made history by landing on mount Everest. To Hold ELT Bracket Battery Cart On Aircraft. Alpha Tocol Engineering Services Pvt Ltd.
Russian Helicopters and United Engine Corporation (UEC), announced the successful start of testing of the third prototype Mi-38 helicopter fitted with Russian-built TV7-117V engines. The new engines have been specially developed for the new transport and passenger helicopter by Klimov, a UEC. The magnificent looking helicopter to the left is an enstrom 280 fx. it is specifically designed to superbly fulfill the mission requirements of the pilot / owner. We are a leading Aircraft & Helicopter Dealers in South Asia including India. Presently we have a Twin Engine VIP configured Helicopter for sale. It is a 2+5 seater helicopter which has flown very less hours only. Price of the4 helicopter is 17.5 cr. You can sell and purchase helicopters of all types available in the region through us. 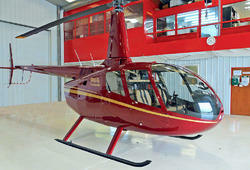 5 pre-owned helicopters are ready-available as described below. Contact us via email or phone to know more. - First Major Aerostructure Program in private sector in INDIA. - First article delivered and accepted by customer. - In series production and volume ramp-up. In view of the increasing demand for oil and gas, and future trends in this industry in India moving deeper into the sea and away from the shore, GVHL has inducted the AW139, a new-generation, medium, twin-turbine helicopter, thus setting new standards against which all medium twins will be measured henceforth.